Yesterday I reported on a new budget Onyx 6" Android ereader called the Boox C67s which is being carried by Chinese retailer Banggood for $73. There’s also a listing for a second new Android ereader over at Banggood called the Onyx Boox T76 Plus. The T76 Plus looks to be an updated version of the 6.8" ereader which Onyx launched in 2014. That device carried various model names including T68 Lynx, T76, and the T68 Plus. I reviewed the T68 Lynx in June 2014, and the T76 Plus looks to be essentially the same device only with a Carta E-ink screen and twice the RAM and storage. The T76 Plus runs Android 4.0 on a 1GHz CPU with 1GB RAM. It has 8GB internal storage, and a microSD card slot, and weighs in at a reasonable 250 grams. It has a Carta E-ink screen with frontlight and a capacitive touchscreen, and like its predecessor the screen resolution is 1440 x 1080 (265ppi). The T76 Plus also has Wifi, Bluetooth, a headphone jack, and a 1.7Ah battery. The list price on Banggood is $209, and includes a case and free shipping to the US. 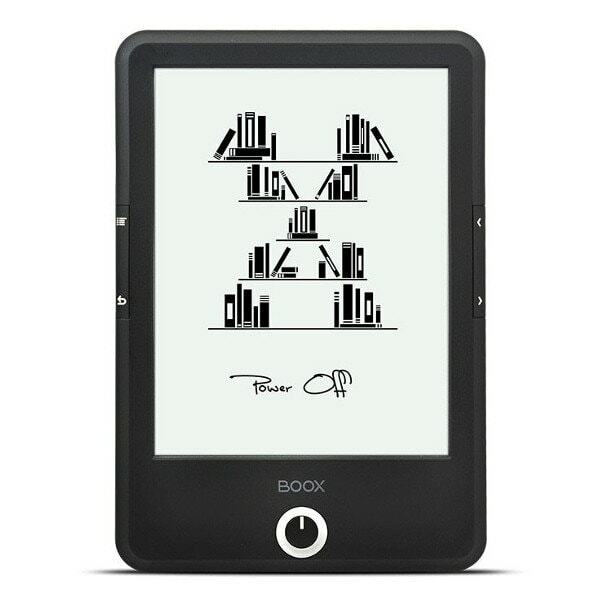 So should you get this ereader? IMO, no. This wasn't a bad ereader in 2014, but it wasn't a very good one, either. As I look back at my review, I am reminded that the Lynx was slow, and that I came to hate the page turn buttons (which were difficult to press). That was then, and now the new model is running an old version of Android on the same CPU as before, with a price tag of $209. We now have better options in the plus-sized ereader category, including the Aura H2O and the upcoming Aura One. I'd get one of them instead. Nate, I don’t agree with your conclusions. For sure Android 4.0 is really outdated, but it works. At the same time, this new model has Android AND bluetooth, which means that you can connect it to an external keyboard and use it as a capable ewriter. Onyx T68 (the old model of T67) was a nice device, unfortunally touchscreen was inaccurate and it was a bit frustrating to select something on the screen. I hope T76 we’ll work better.